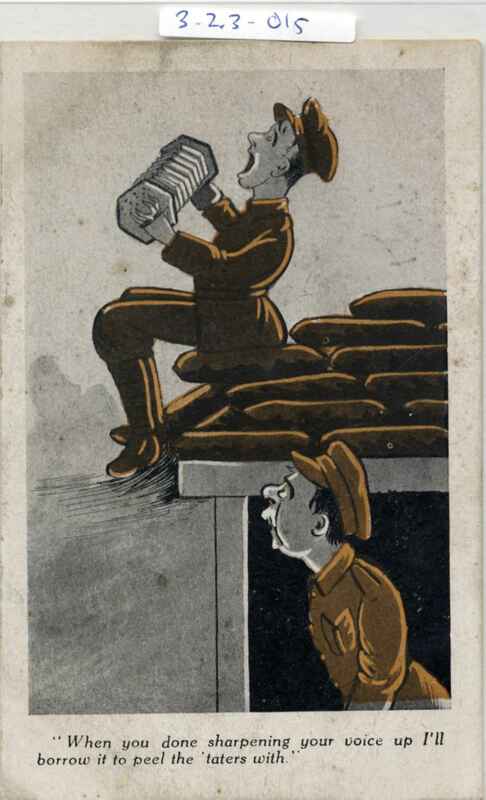 Full Description: One of two WW1 Era postcards with a colour cartoon of a soldier on a trench dugout singing and playing, while a colleague shouts at him “When you done sharpening your voice up I’ll borrow it to peel the ’taters with”. Divided rear, unused. See also See also Item 3.2.3-14 .